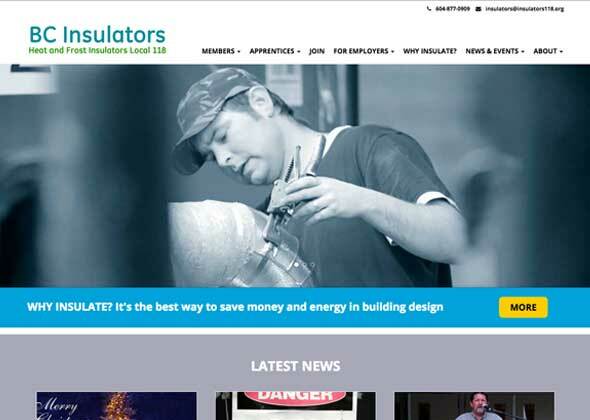 Heat and Frost Insulators The Magic of Mechanical Insulation! 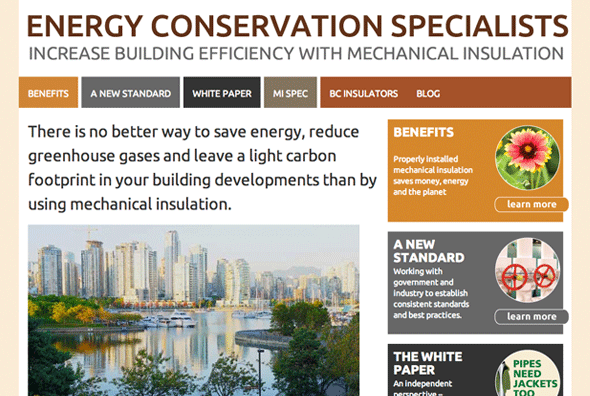 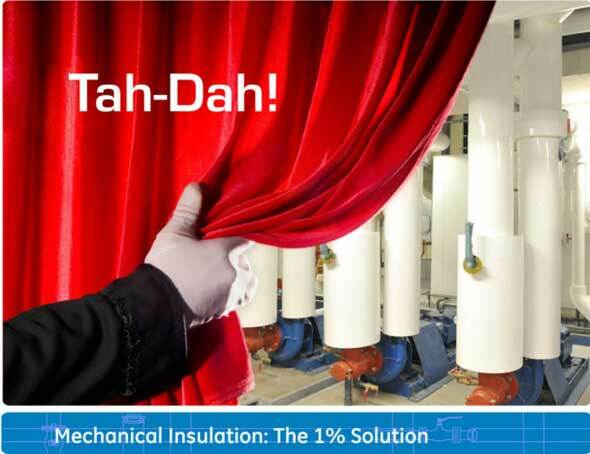 Project The Magic of Mechanical Insulation! 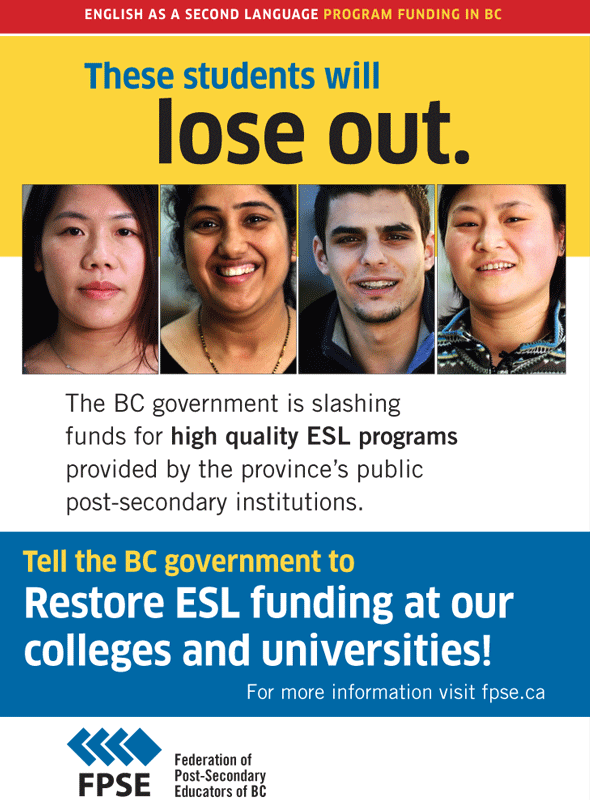 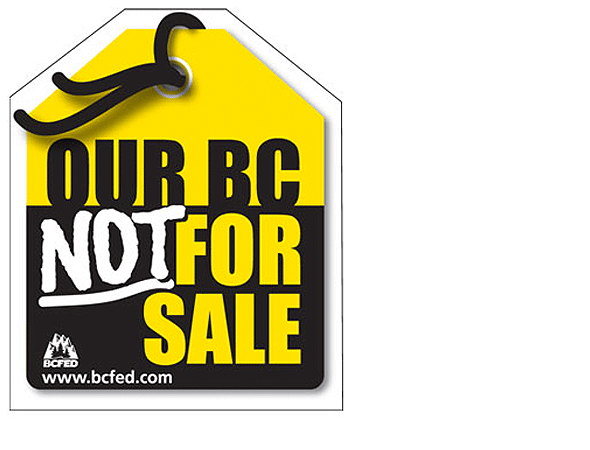 The Federation of Post-Secondary Educators of BC have been waging a campaign against BC government funding cutbacks targeting English as a Second Language programs at the province’s post-secondary institutes. 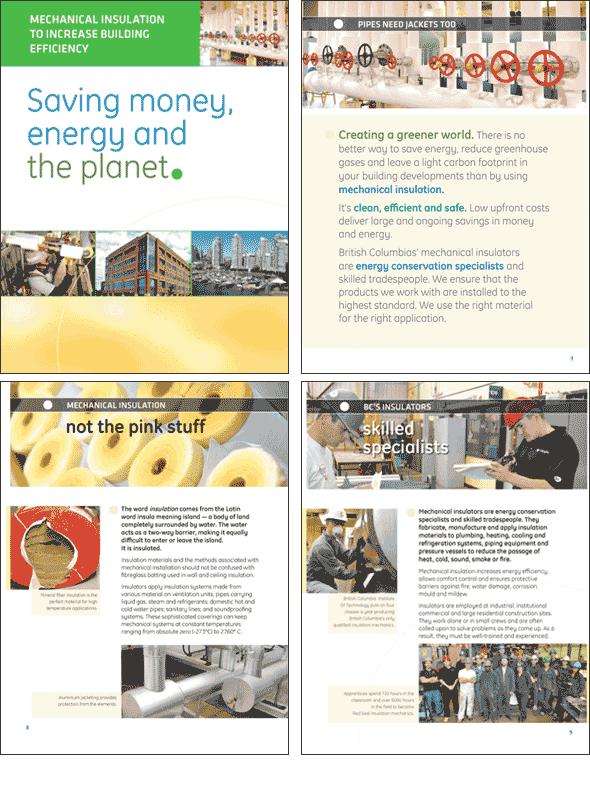 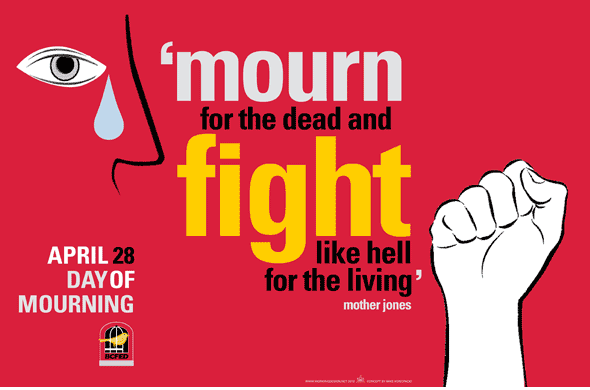 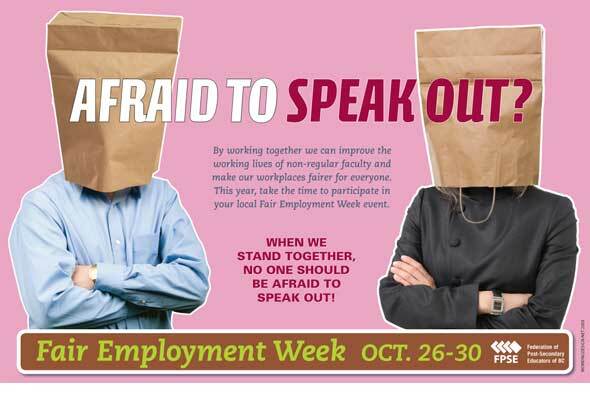 We worked with FPSE’s Phillip Legg on developing some print materials for the campaign. 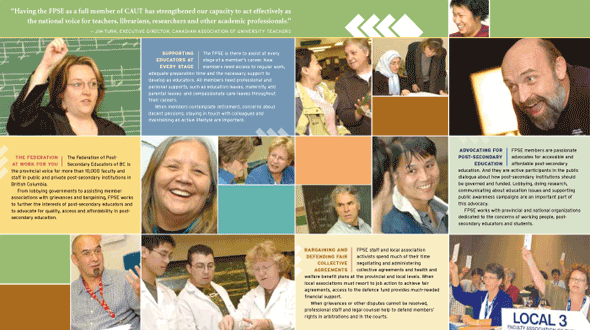 Working Design has been designing materials for HEU – the Hospital Employees’ Union – since 1991 when we redesigned the flagship Guardian publication. 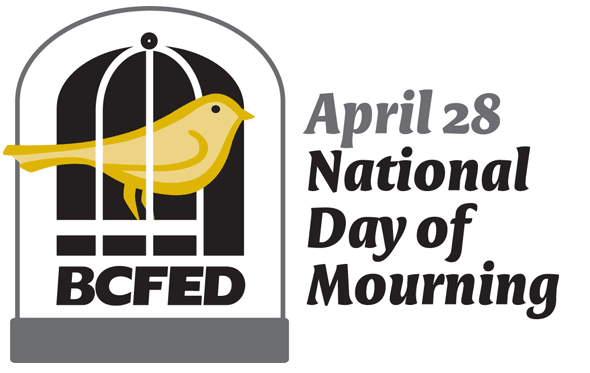 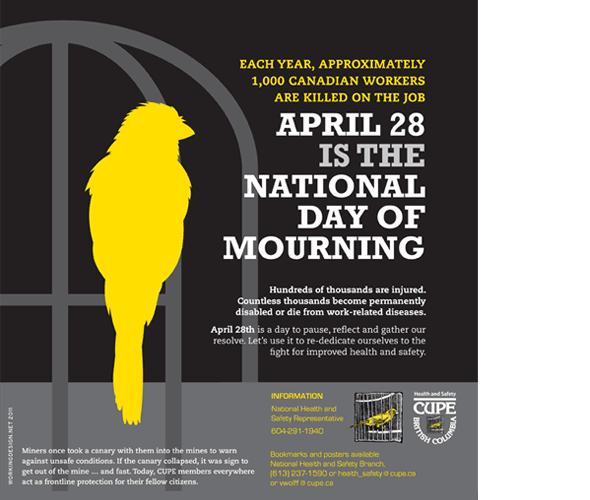 That effort was awarded the first of many HEU design (and other) honours from CALM – the Canadian Association for Labour Media. 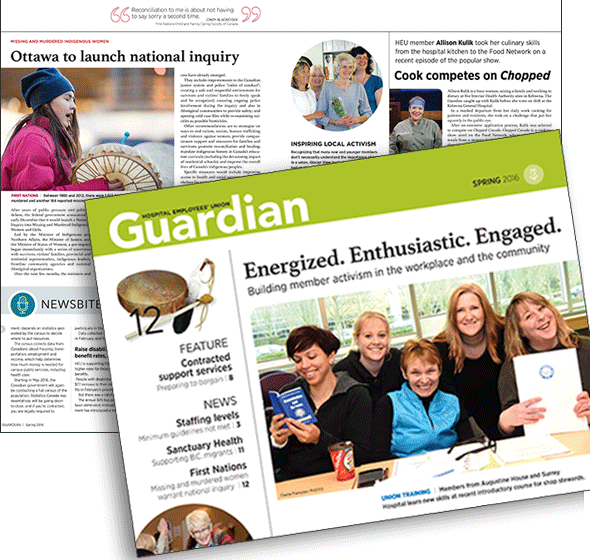 This 2016 edition shows the third Guardian redesign we’ve collaborated on with the union’s communications department. 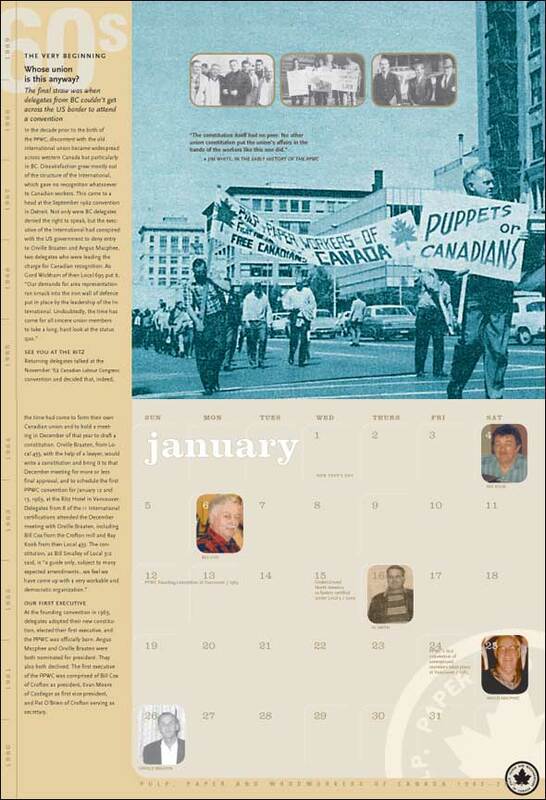 Not only does it feature a new look, reorganized content and some new sections, it also marks a return to full colour. 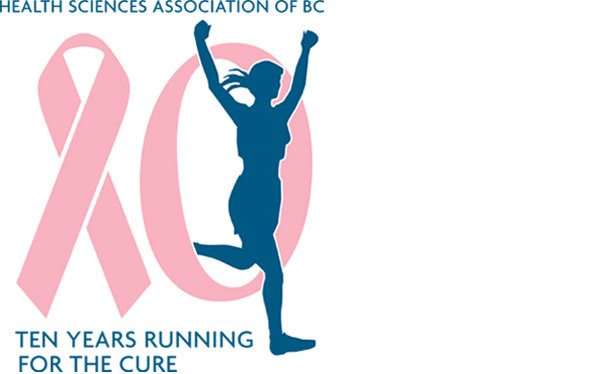 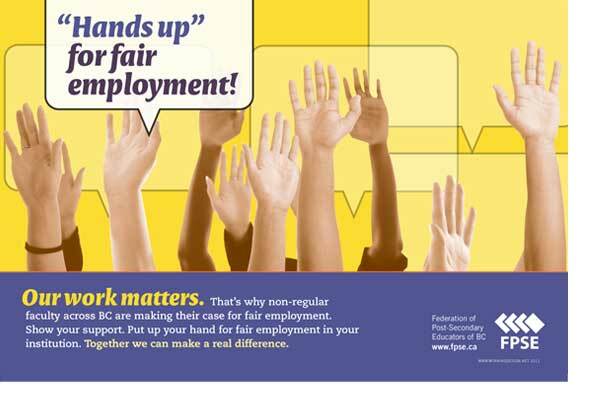 In 2014 we updated the design of the CUPE BC’s Public Employee to reflect a changing of the guard in the union’s leadership. 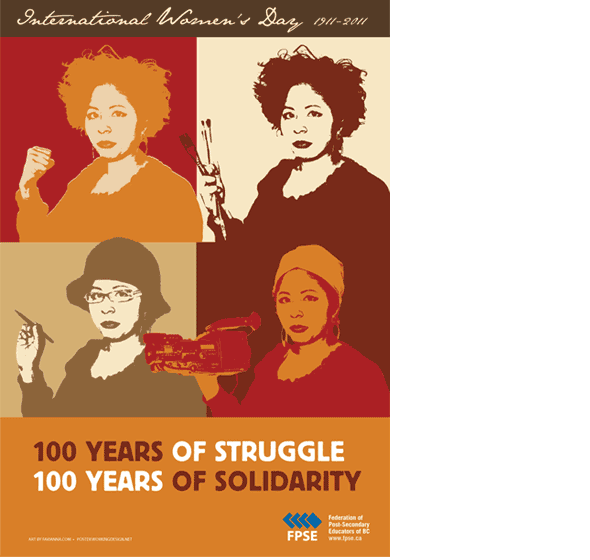 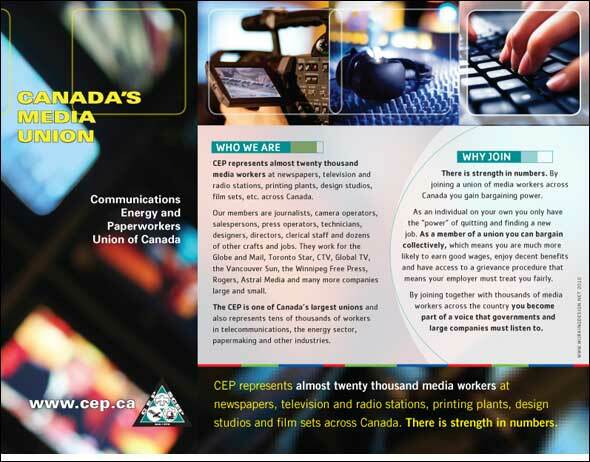 The PE has one of the largest circulations of any union publication in Canada. 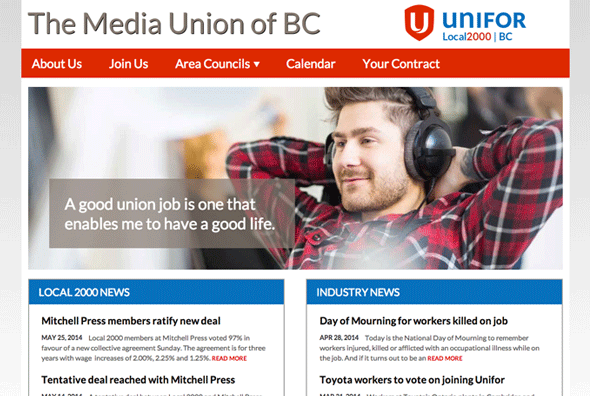 We’ve been proud to be associated with the magazine for more than 20 years, helping it win several awards from CALM – the Canadian Association of Labour Media. 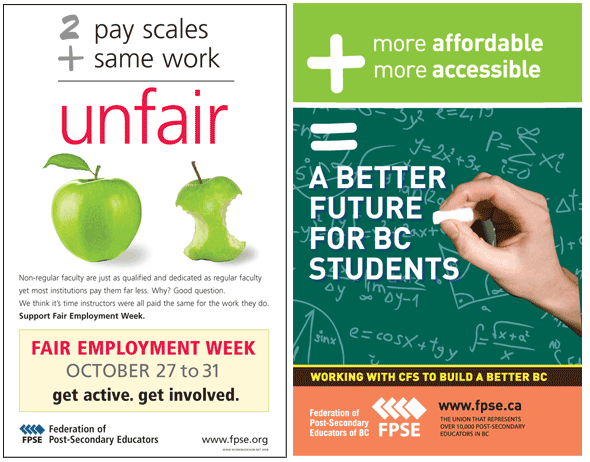 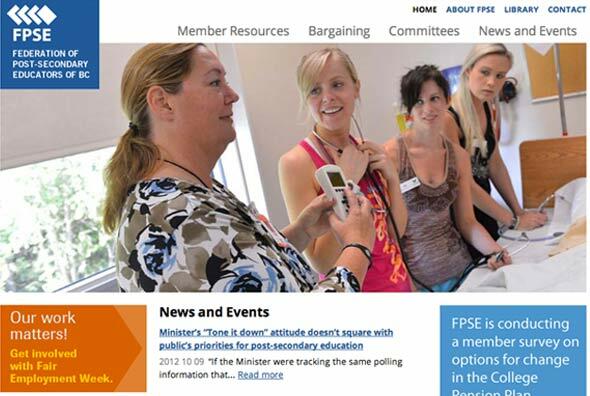 Read the Fall 2015 CUPE PE. 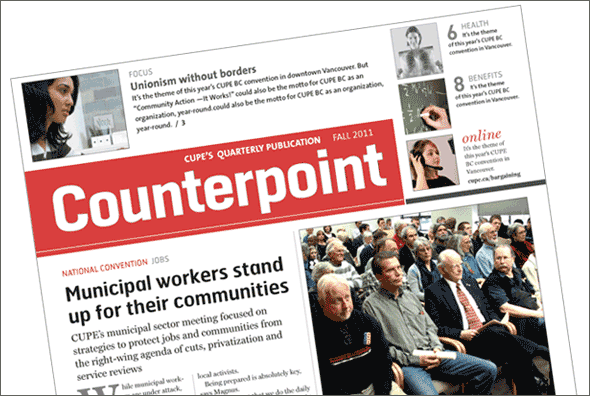 Our ongoing redesign of all print materials for the national office of CUPE (Canadian Union of Public Employees} – one of Canada’s largest unions – started with a thorough communications audit of the organization’s newsletters and the flagship national publication, Counterpoint. 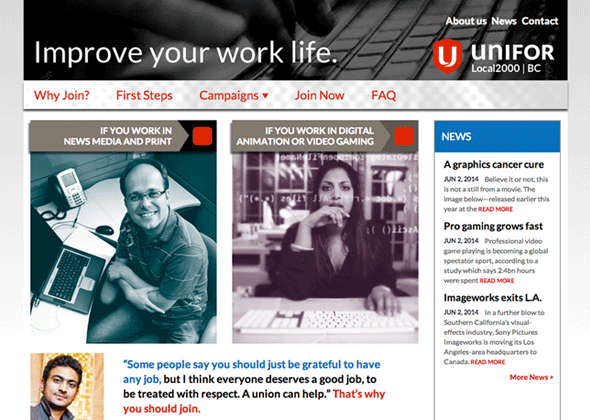 We restructured and redesigned the full colour tabloid. 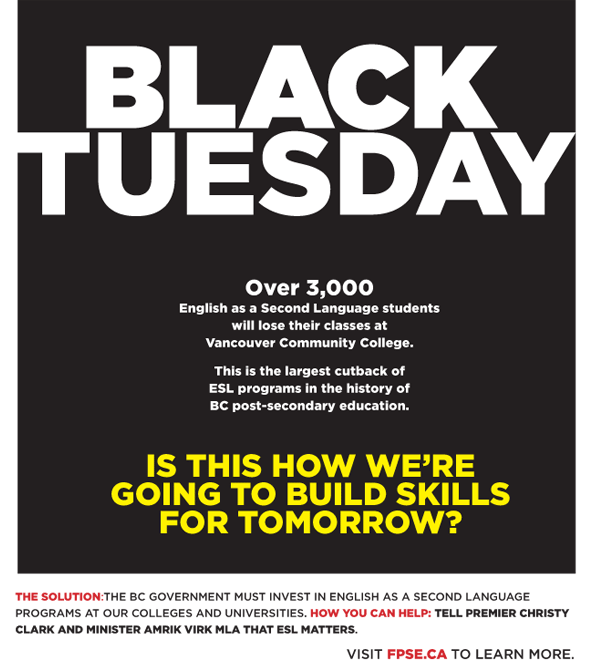 And it paid off! 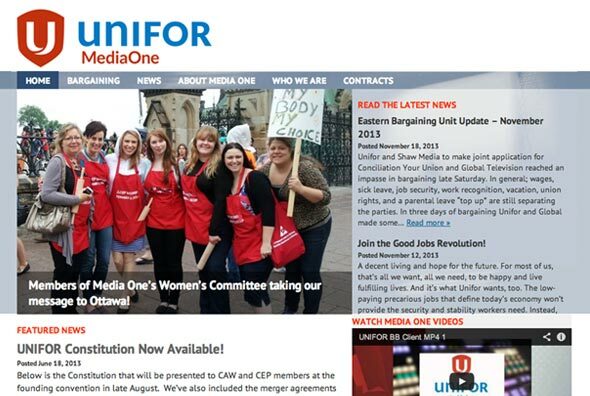 The paper won the 2011 award for Best Overall Publication from CALM, the Canadian Association of Labour Media. 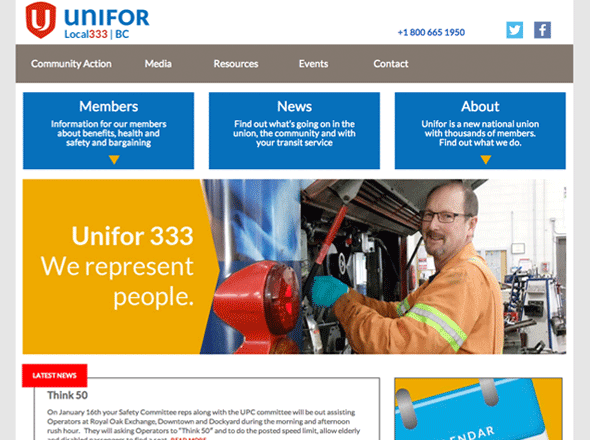 The overall redesign of CUPE’s newsletters features consistent typestyles and page structures. 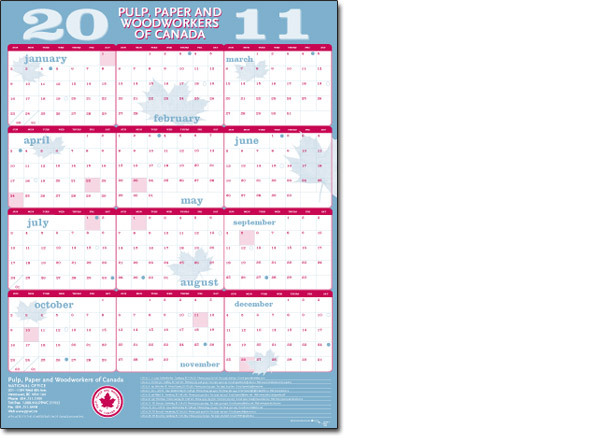 Each publication has a unique flag – the treatment for the publication’s name – and its own colour. 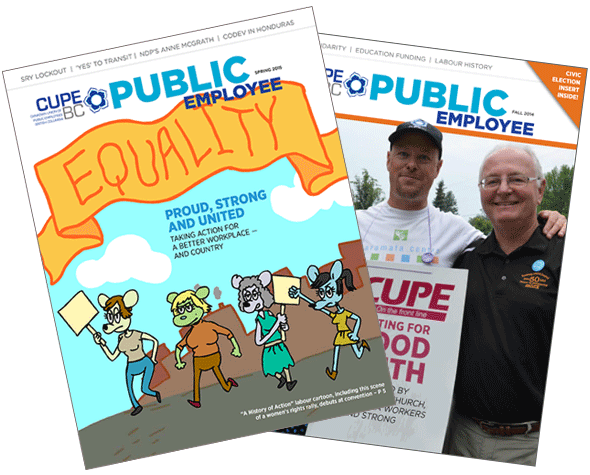 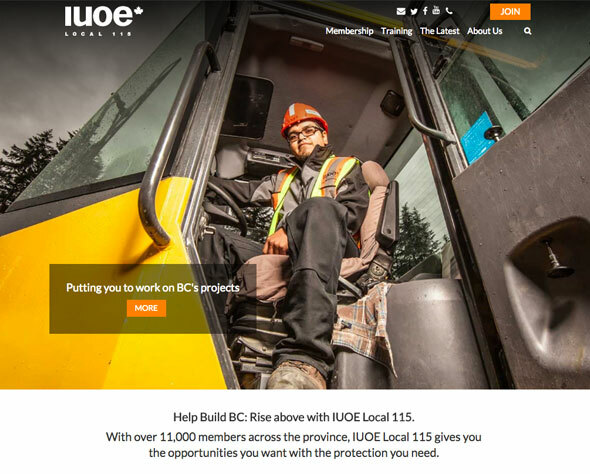 The newsletters are devoted to four of CUPE’s main issues areas and, as a result, have different kinds of content which give them an identifiably different look. 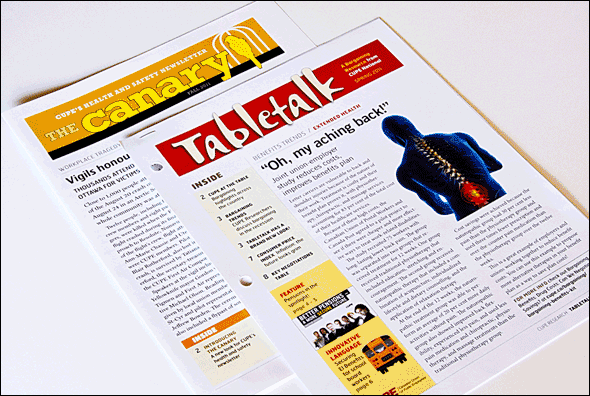 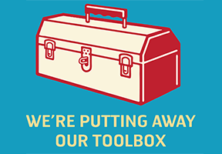 Canary is focused on health and safety issues, while Tabletalk is about bargaining. 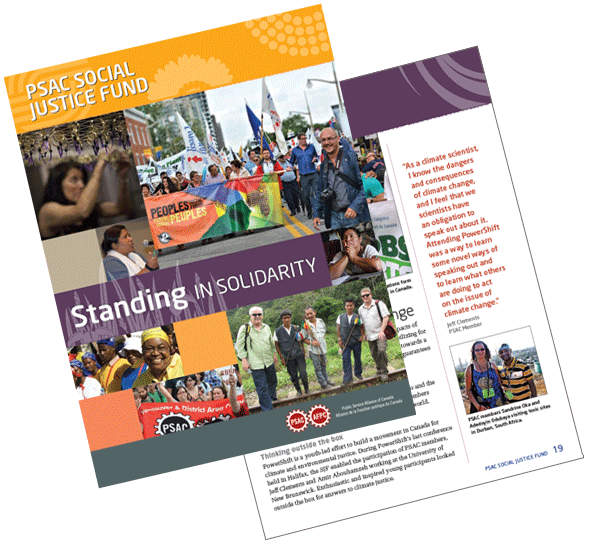 Two other newsletters – one about economic issues and another about international solidarity – will be redesigned in the coming year.